Another day and its another bath time for me. ( I have lost track of how many baths I have had this week because I have fancied them more lately as they are so damn relaxing, especially after I have done lots of walking and my legs are aching. 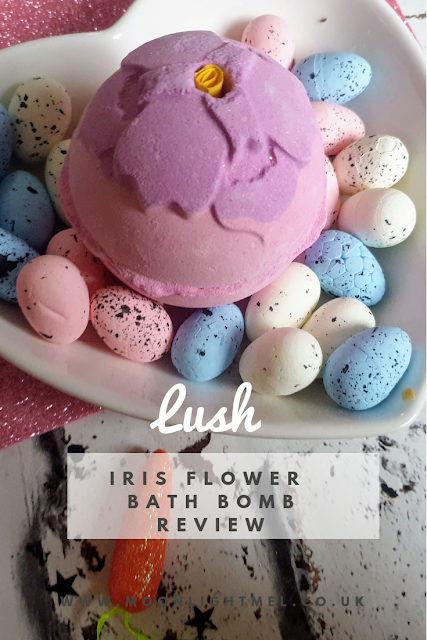 The Iris Flower Bath Bomb is from the Lush Mother's Day Collection. The mothers day collection looks amazing and has to be my favourite so far of the year, it is very floral inspired which I love. 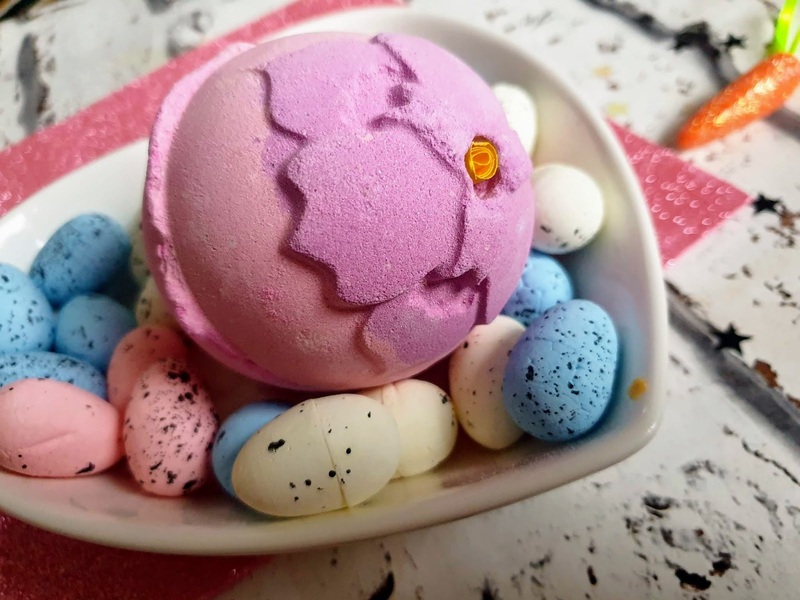 This bath bomb is entirely pink and has a pretty pink iris flower design on top of the bath bomb. As you can see on top of the bath bomb, they are a yellow piece of paper in which you can write a special message on it, which is fabulous if you want to give this as a gift or even write a self-care message to yourself. The 4 key ingredients in this are as follows; 'Orris root powder', 'Bergamot Oil', 'Persian Lime Oil' and 'Neroli Oil' These all smell lovely for me personally and they compliment each other nicely as its a zesty fruity scent. As soon as this went into the bath it started oozing a lovely milkshake pink colour into the bath. As soon as I put this in the bath you could smell the lovely zesty fruity aromas of the bath bomb, which for me was just lovely. It took less than 5 minutes to completely melt and make my bath water look like a giant tub of strawberry milkshake. The bath water felt amazing on my skin and felt very silky and soft. I am not joking when I say you couldn't see anything under 2cm of the water because the pink was so vibrant. Since it was so delicate and moisturising on my skin I didn't even bother with a moisturiser. The bath bomb was lovely and I could smell it on myself well into the next day. I am so happy I chose this bath bomb. It smells lovely, looks amazing and it sure made me feel amazing too. The price point of lush is getting a bit daft right now as this cost me £5.95 which I find a lil steep especially when this is only a one use product. If they were a little cheaper then I would 100% buy more of their products. That being said I do love lush and love what they do etc. Anyways I would 100% repurchase this as it was one of the nicest bath bombs I have tried. Have you been to Lush lately? I love Lush, their product never disappoint me! 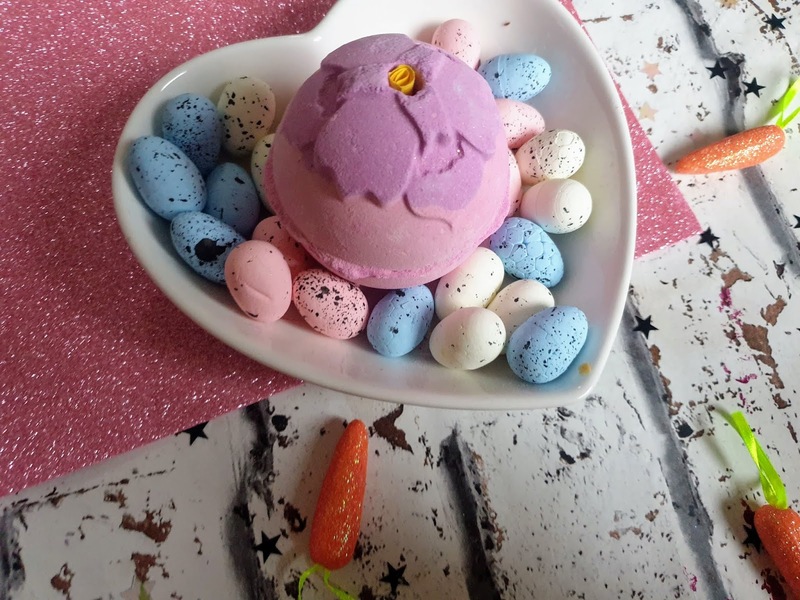 I have not tried the bath bombs, thanks for the review! I agree with you - as much as I love using Lush bath boms, they became more pricey than I expected. Thanks for the detailed review, I will try it. Wow I love the colors of FLOWER BATH BOMB so beautiful. I've never tried to use Bath bombs because we don't have bath tub HAHAHHAA. 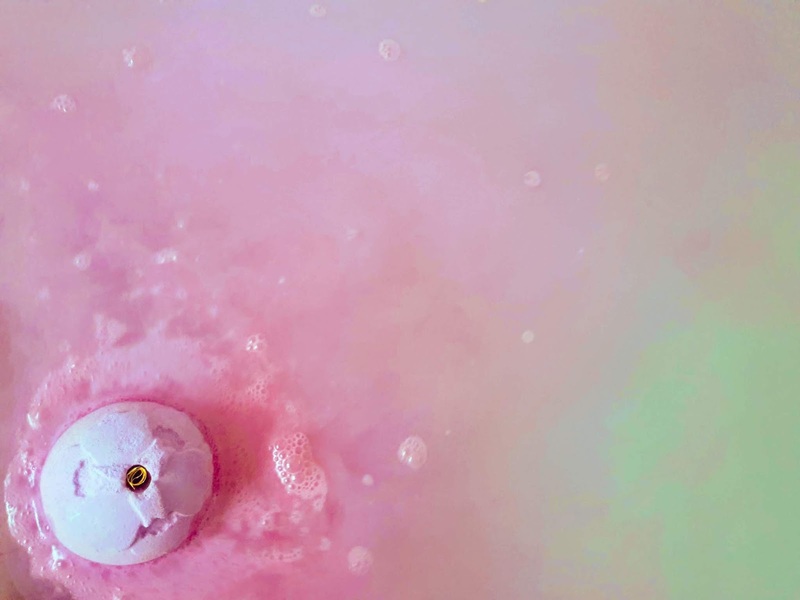 I did a bath bomb on my spa day just recently and oh girl! The smell as heaven! And you dd love the smell too! Wow! I love Lush Bath bombs....I completely agree their price point is too steep. It is once in a while when I want to pamper myself I reach out to their bath bombs. I love everything from Lush.They make the most amazing bath products ! I need to pop into Lush one of these days. I am yet to use a Bath Bomb. Love the sound of the brand. I LOVE bath bombs! They're one of my favorite ways to treat myself and I'll have to check this one out! Thank you for sharing your review about this bath bomb. That fizzy bath product looks cool. Both of my daughters are obsessed with bath bombs. This looks like it would be a huge hit in my house!